Take a day off and enjoy this five-acre open space. 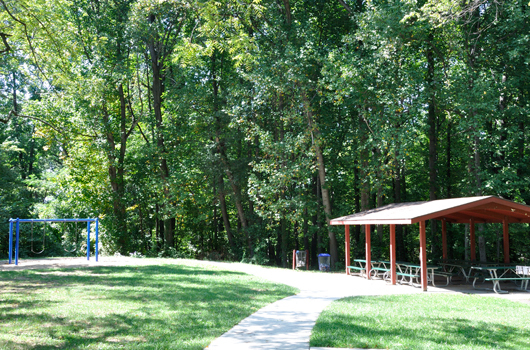 Douglas Park comes equipped with a playground for the kids, nature trails, a relaxing gazebo, a stream, a picnic shelter and a stone fireplace. 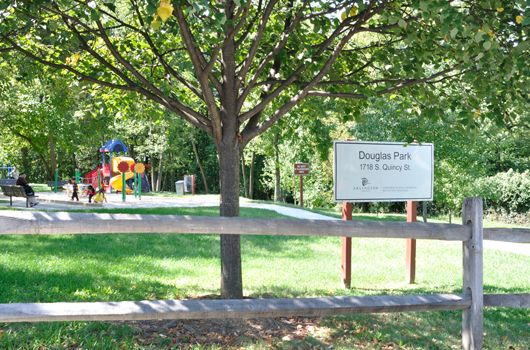 The park was named after the nearby subdivision, Douglas Park. 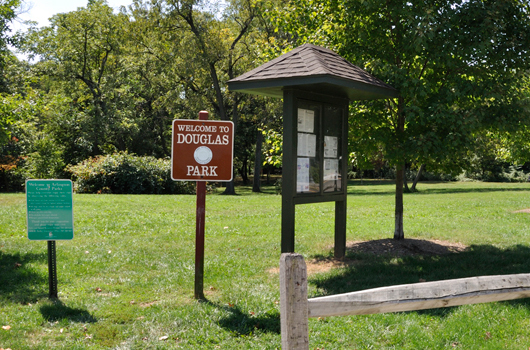 According to the Washington Post, upon acquisition of the land south of the subdivision of New Arlington, the Washington Development Company rededicated the subdivision as Douglass Park in honor of Frederick Douglass. Over time the second s was dropped. Should your dog play in the stream? Be an environmental hero and keep Arlington a great place to live, work and play with the Adopt-a-Park Program.